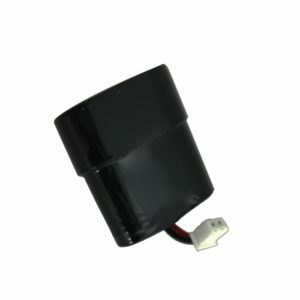 Engineered to meet the demands of security professionals, police, and military worldwide now available to civilians. 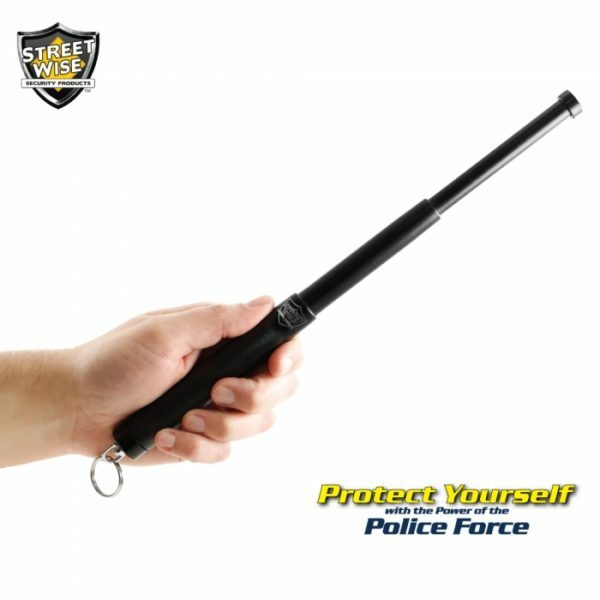 Compact design – Carry and conceal the steel baton at only 5.5 inches long. 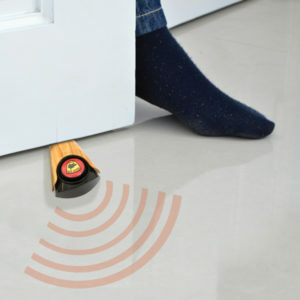 Innovative locking feature – Expands with the flick of the wrist and locks into place with ease. 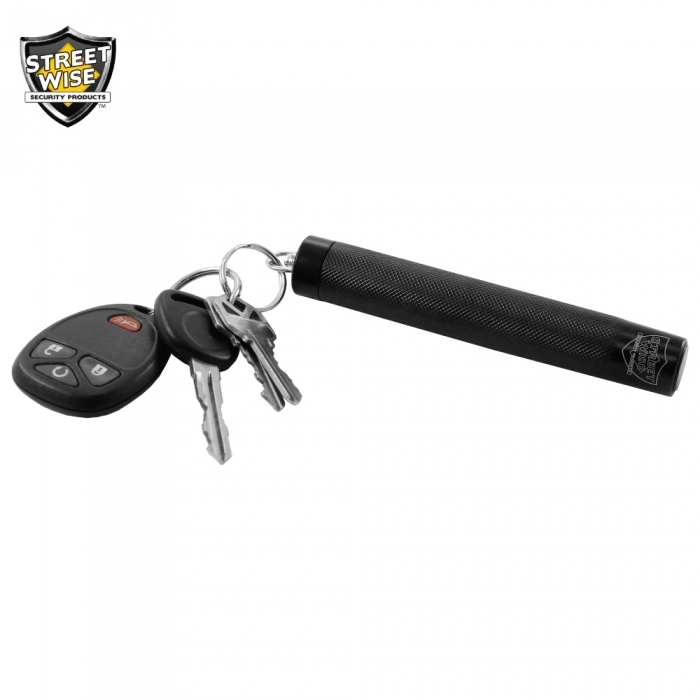 Safe distance – Expands instantly to 12 inches to keep a safe distance from an attacker. 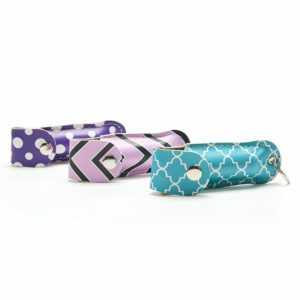 Key ring – Always keep your keys handy in the attached key ring. 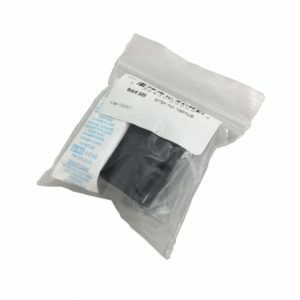 You can also hang the baton easily from a belt hook. 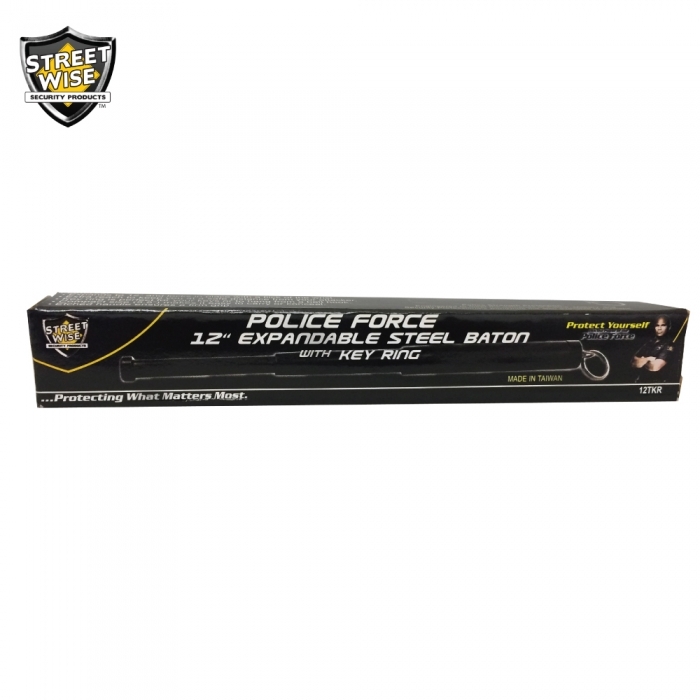 The Police Force 12″ Expandable Steel Baton w/ Key Ring is designed to meet the demands of police, military and security professionals around the world, but is now also available for civilian use. 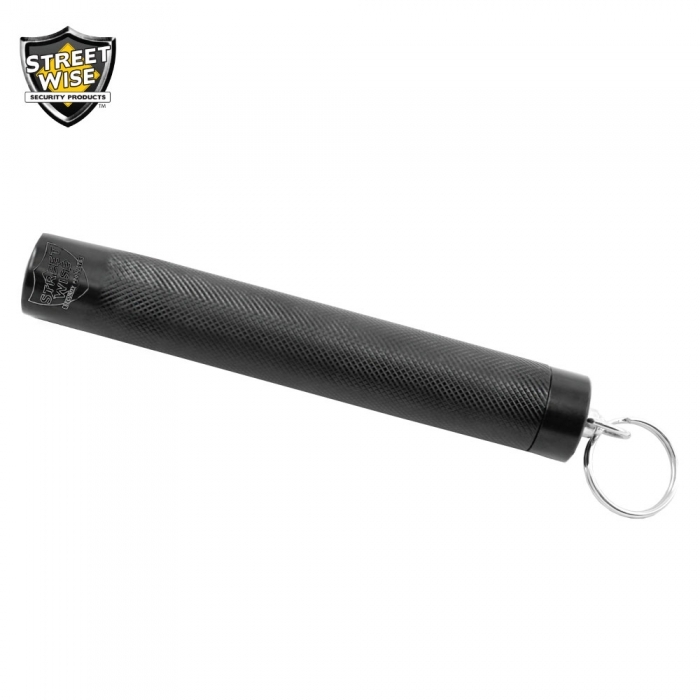 You can carry and conceal the compact and convenient steel baton at 5.5 inches long and can be expanded up to 12 inches when you need a safe distance from your attacker. 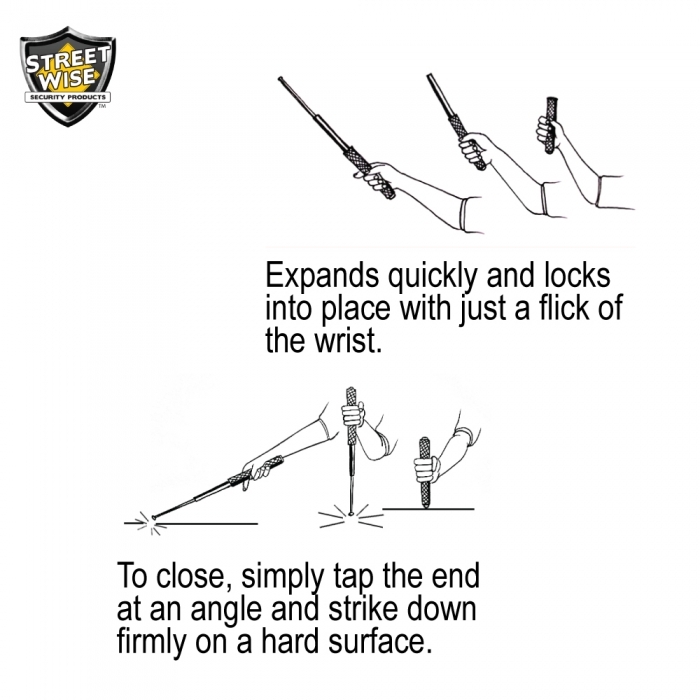 Innovative locking feature – Expands with the flick of the wrist and locks into place. 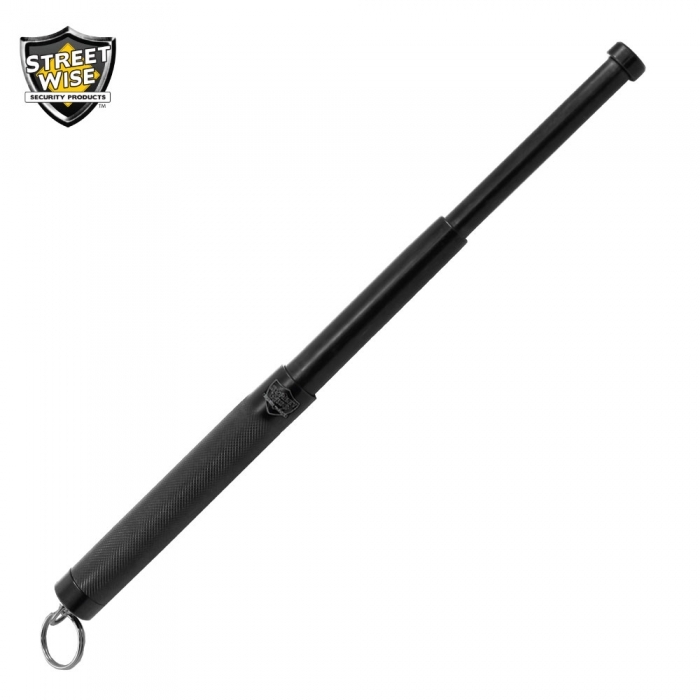 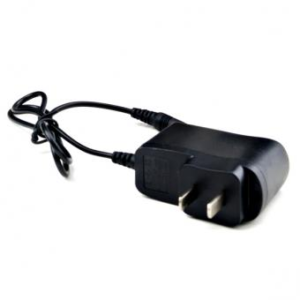 Safe distance – Expands conveniently to 12 inches to keep a safe distance from an attacker.